Magento 2 is an elite shopping cart that offers all the features, functions and facilities a company or an entrepreneur needs to run the course of its business into profitability. It’s fast, secure and compatible with a diverse range of applications, platforms, and devices. But Magento 2 itself cannot accomplish your online business goals. Certain conditions must be met in order to achieve a productive level of activity on your Magento 2 website. To make sure you have the right gear to achieve that level, we have summarized the most useful Magento 2 tools into a list of 20 extensions that are must-haves for your store. Image sliders are awesome when it comes to the web design of your Magento 2 store. They are interactive and appealing when placed in the right place at the right time. If you are interested in getting one, then Magento 2 image slider extension is a great choice for you. It is a fully responsive & elegant image slider that supports the editor in inserting content such as text, image, and video. It comes with OWL Carousel and can be displayed at any position of the user’s choosing with CMS and Widget. You get support 10 slides with tons of animation. Created to help customers find their products quickly without any unnecessary clicking and searching, Ves brand extension is a great package for users who need products sorted by brands or manufacturer. You can also show your brand logos block as you please on any position of the website. It comes with user-friendly features and rock-solid functionality to live up to the Magento 2.0 expectations. Despite its simplicity organizing the labels on your webshop is a must. Labels help to inform your customers about upcoming sales events, shipping possibilities, etc. With this tool, you can place highlights for your bestsellers on the product pages or in your product list. If you wish to test a couple campaigns, you can even specify different images and slogans for these. 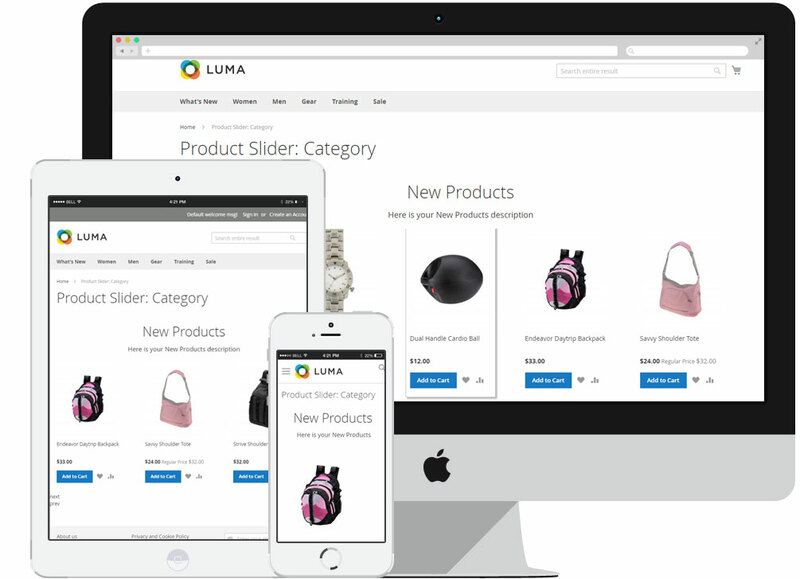 Organize and showcase your list of products neatly and beautifully with Magento 2 product slider list extension. Instead of using the usual listing, Magento 2 Product Slider allows you to create several slider titles such as bestsellers, new products, featured products, best deals products or most reviewed products. This extension improves the functionality of your website by highlighting the products hence increasing their chance to be sold. Having auto-search function is crucial for your website especially when you have an extensive list of products to sell on your online store. Magento 2 Search Autocomplete extensions provide an effective solution for the customers who are searching for your products. It’s a very responsive and feature-rich extension that gives you suggestions while typing, relevant product results and sharp keyword matching. Often small details matter the most. Even a well-developed and maintained website can be confusing to the visitors. Inconvenient user experience can lead to high bounce rates and low retention rates. These will affect the overall conversions of the website. Capturly offers a great solution that helps you save time and money. Instead of a complete redesign, you can inspect what your visitors are lacking on your website and, with little effort, achieve great results. With the Magento 2 Page Builder Extension you can create, edit and design the content for your website, webshop, or any other web content by simply dragging and dropping. It does not matter which CMS you use – DragDropr fits them all. With DragDropr, no prior knowledge or coding skills are required. You can build entire pages, or quickly change any existing content with a simple drag & drop action. Just log in to your account and edit anything you want. DragDropr provides 200 content blocks so that you can create entire pages, or change any existing content quickly. Especially, DragDropr automatically adjusted content based on the shopper’s screen size to make sure your page looks nice in any devices. It also allows you to customize your product page by enabling or disabling various product elements like product pictures, prices, or text description. DragDropr guarantees the way you create and see the content on your screen will be the finalized look of your page. For Magento 2 enthusiasts this extension is a must-have. Magento 2 Mega Menu is a comprehensive extension that gives you an intuitive interface with drag and drop features. You can create a Professional vertical menu, horizontal menu and off canvas menu in a few easy steps. For better classification, you can utilize sub-menus such as Dynamic Category Listing, Anchor Text, Product Listing, Product Grid, Default Category Listing and Content without editing the CSS file. Push notifications can be annoying. The question is, do they have to be? What if you could tailor push notifications to your customers’ needs and deliver them in a more personal tone? That’s exactly what this tool offers. To get the message, the customer just once has to click “Yes” in the browser popup. By doing this, they will also be subscribed to any future push notifications from your store. The best thing is that your customer doesn’t have to keep your site open to get the notifications. They can close the tab of your site and you can still send them messages. With the help of rules, you can bind notifications to certain events which can be: shopping cart-, order-, customer- or whitelist related. Social media plays an important role in every field nowadays. It represents the user’s profile and gives access to unlimited information that is being shared online each day. 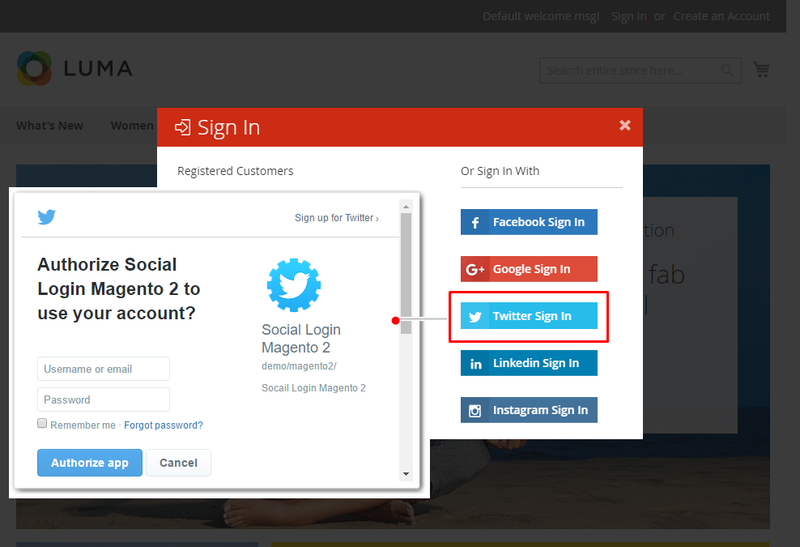 With the Magento 2 Social login extension you can now allow your customers to have access to 15+ social networks (such as Facebook, Twitter, Google+, LinkedIn, Pinterest and Instagram, etc.) on your website. It also includes a login form with several appealing styles and templates. Customers get an easy login while you collect their data for future marketing campaigns and promotions. Make the shopping experience of your customers memorable and enjoyable with Magento 2 Infinite Scroll extension. Customers can view products without clicking on any scroll downlink as products load automatically. With the help of AJAX based loading protocols, the users can scroll down on your webpage freely and discover which page of the catalog they are currently on to get better information from your website. Loyalty programs are hotter than ever before. If a picture is worth 1000 words then a happy customer is worth 1000 pictures. A successful program lets store owners create a strong bond between their brand and the customers. This extension is fully featured it’s powerful yet flexible. You can reward your customers with points after completed orders. The more orders they complete the better for them and for you. You have full control over the system, you can offer extra rewards when certain conditions are met such as social media activity, sign-ups, orders after a longer period of inactivity, etc. Getting conversions from your old leads is just as important as getting it from new ones. The reward point system of these extensions is designed to engage old customers in more exciting discounts and attract new ones to get better deals on products. Get your lengthy and tiresome checkout process simplified and streamlined with the help of one-page checkout extension of Magento 2. With this tool you can turn your traditional six-page checkout into one page, reducing checkout process and time involved in loading each page. This increases your conversions and reduces checkout abandonment. Order Attributes extension gives you the ability to add and customize registration and checkout form fields according to your preference. You can add fields of various type such as text, radio, checkbox, and multi-select on your forms and show them to your customers to acquire valuable information. You can also hide and restrict customers by type to get personalized results from your form fields. The information you extract can be used for marketing campaigns in the targeted audience to get better conversions. Talking about gathering conversions from old customers, this Magento 2 Follow Up Email extension gives email marketing a new meaning. Loaded with helpful tools, templates, and responsive features, your customers never go down the drain but remain connected with your store through follow-up emails even if they have visited it only once. This helps you drive more sales and get a better understanding of customer behavior. Equipped with the powerful Google Maps, your website gets the best global navigation system with several other useful features to help customers locate your brick and mortar stores in the fastest and easiest ways possible. It detects the customers’ location through their IP address and informs them about all the available stores in their vicinity. The user can also search for stores by distance, Zip code, State and other parameters. It is a highly accurate and result-oriented extension for Magento 2 platform users. Getting a deep insight into your Magento store is imperative. You need reports about the performance of your website and how it is getting along with customers. With Magento Advance Reports Extension you can get 22 advanced reports based on various factors of your website such as products, category, coupon, customer groups and more. Moreover, this extension is compatible with the older version as well. You can get reports on Magento 1x without any issues which are normally the case when the latest versions work with older ones. Running a successful website without considering affiliate marketing is an opportunity too good to be missed. Affiliate marketing generates a force of marketers spreading the word about your products and creating brand awareness for as much as nothing. These marketers and advertisers get a commission on their successful leads and earn a satisfying amount of money, enough to keep up the good work and run. Magento 2 Affiliate Marketing extension does exactly this. It turns your website into an affiliate marketing hub, inviting brands and websites to get registered and start opening sale channels towards your store. Being fully responsive, fast and easy to implement and operate, this extension is the perfect solution to boost conversions at the cost of just one self-magnificent tool. Having a well-crafted FAQ is a great thing. You can save a ton of time that you would spend on answering the same questions for the 100th time plus it’s also a great way to boost your SEO. With this extension, you can create intuitive, clear instructions for your customers. Set up a convenient article page which gives your users an option to browse each category using breadcrumbs which allows them to return to the parent category anytime. It offers multiple search options such as an exact phrase, single word or combination of words. As a store owner, the last thing you wish to hear about is a refund. However, refunds can actually do good for your business. For example, if a customer is unsatisfied with the purchase, but you have a great refund service, it can be a game changer. This will mean the difference between 3 and 4 stars and most likely that customer will give you another chance in the future. You can turn refunds into credits that the customer can use in the next purchase. You can reward, appreciate or even offer an apology to your customers. Therefore on your end, tracking every transaction is a must. You can manually add new credit transactions whenever you like, which is exactly what makes this extension super flexible. Magento 2 is a high-tech and feature-rich platform. With the recent updates, the Magento team has worked up the platform’s performance issues and improved speed, security, and device compatibility successfully. But having a superior platform does not necessarily mean you will succeed in the e-commerce industry. Competition is not only confined to how a website performs in terms of loading time and client security, but also what kind of user experience it delivers and what features it offers to the customers. To make sure your Magento store has everything up to mark, integrate these 20 Magento 2 extensions to your online store and increase your traffic, engagement, and conversions without compromising on your UX and UI. I’d like to ssee extra posts like this. Thanks for sharing ,this amazing stuff, i will be going to share it. Thanks for sharing this post,it really helps me .Thanks Bro again you are ausam. Glad to hear 🙂 Cheers!